Description - Endurance Center Drive elliptical trainers are the perfect blend of research, engineering, performance, and technology. Patented technologies have been applied to provide a stable, space-efficient platform to perform rigorous low impact full body workouts. The combination of a natural stride, quality manufacturing, and superior programming have created the latest evolution in cardio training. Rare blend of space efficiency and stability. Low center of gravity combined with a balanced frame prevents rocking. Dual-action upper and lower body with premium handgrips. Close pedal spacing combined with oversized pedals fits any size user and eliminates hip fatigue. Includes handles for easy transport. Programmable, with seven programs and two user programs. Recommended For - Body-Solid's Endurance E300 Elliptical Trainer is the perfect low impact machine for any hoem gym. Space saving center drive elliptical. 7 Programs and 2 user programs. Dual-action upper and lower body. 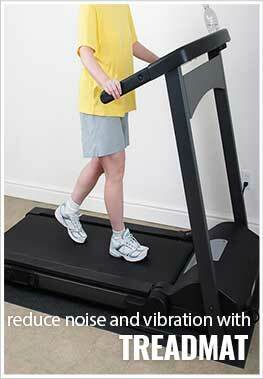 Body-Solid's Endurance E300 Elliptical Trainer comes with a Quick-Start Mode and 6 Preset Programs. These presets are Mountain, Hill, Random, Interval Speed Training, Interval, and Interval Mountain. You can also customize up to two user profiles. Body-Solid's Endurance E300 Elliptical Trainer come equipped with heart rate contacts. These heart rate contacts send your heart information to the display console. This aide in maintaining the proper heart rate for the particular workout. It is not ideal to work out at your maximum heart rate. The recommended heart rate target should be 60-75% of your maximum heart rate. Body-Solid's Endurance E300 Premium Elliptical Trainer display features a 2-window color LED display with easy-to-use functional buttons and program controls. This display has a message windo, a profile window, a lap display, and different program modes. Body-Solid's Endurance E300 Elliptical Trainer is backed by a lifetime residential warranty. This warranty covers a liftime warranty on the frame, 5 years on the parts, 2 years on the electronics, 1 year on labor, and 6 months on the wear items.